The CSULB College of the Arts provides scholarly and creative opportunities generally associated with stand-alone arts academies and conservatories, all within the context of a comprehensive public university. A diverse student community benefits from an affordable, innovative, quality education in the arts. Top-tier performance and exhibition venues provide opportunities for showcasing student excellence as well as presenting an array of artists and scholars we bring to our campus. The College of Business is one of 711 business schools in 47 countries out of nearly 16,000 world-wide that are accredited by the Association to Advance Collegiate Schools of Business International. AACSB standards require our faculty to maintain academic and professional qualifications and our students to achieve COB's learning goals. We are committed to excellence in education, and our continuous accreditation since 1972 is a testimony to the hard work and dedication of our faculty and staff. The College of Education provides undergraduate and graduate studies in education. It offers specific curricula focusing on the preparation of personnel for teaching and educational service in the pre-school, elementary, middle and high schools, community colleges, adult programs, and other educational agencies. In addition to three certificate programs and a variety of teaching and service credentials, the College offers a Bachelor of Arts in Liberal Studies, a Master of Arts in Education degree with various options, two Master of Science degrees (special education and counseling), and the Educational Leadership Doctoral degree. The College of Engineering offers four-year curricula leading to Bachelor of Science degrees in the disciplines of engineering, computer science, and engineering technology as well as master's and PhD degree programs. The BS programs provide broad education and training for entry to the professions and for continuing academic work toward advanced degrees. Master of Science degrees are offered in aerospace, civil, computer, electrical and mechanical engineering, and in computer science. The Master of Science in Engineering is also offered in interdisciplinary areas. The PhD in Engineering and Industrial Applied Mathematics is offered jointly with The Claremont Graduate University. The College of Health and Human Services offers undergraduate and graduate degrees in a wide range of disciplines. Through our richly diverse and highly qualified faculty, we strive to be leader in connections to the community, collaboration with other universities, research, community service, number of active centers, and number of students seeking professional careers. Our academic programs collaborate with community partners to create a student-centered learning environment that acurately reflects the dynamic societal needs. The College of Liberal Arts at CSULB is the largest college on campus, with twenty-seven excellent departments and programs, several innovative centers and projects, and over 300 outstanding faculty members. The college faculty are among the best in the nation and have received a variety of national and international awards. The College of Natural Sciences and Mathematics is a leader in undergraduate and graduate student research. Housed in a complex that includes the recently completed, state-of-the-art Hall of Science, the Molecular and Life Sciences Center, the Microbiology Building, and Faculty Office 3, the college's six departments offer 22 degree programs at the graduate and undergraduate levels. The College of Professional International Educations is a self-supported, interdisciplinary college that works closely with its university, business, community, and international partners to serve California’s workforce and economy. 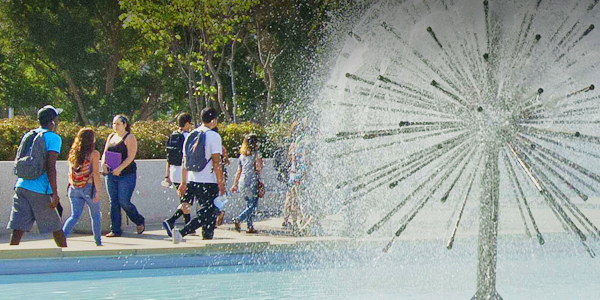 CPIE provides expanded access to CSULB’s exceptional academic programs and educational resources. We offer a diverse range of degrees, professional development certificates, and international education programs in many disciplines. We create opportunities for our students to study abroad, and bring students from around the globe to CSULB. Official CSULB catalogs dating back to 1997/1998 are available online. If you should experience any problems or have comments or suggestions, please send an e-mail to CSULB Curriculum Office.